Harry Potter and the Order of the Phoenix in Spanish. The fifth book in this now-classic series. This book follows the darkest year yet for 15-year old Harry. As if an overwhelming course load as he prepares for his fifth-year exams wasn't enough already, devastating changes in the Gryffindor Quidditch team line-up, vivid nightmares and increasing pain in his scar test Harry to the limits. 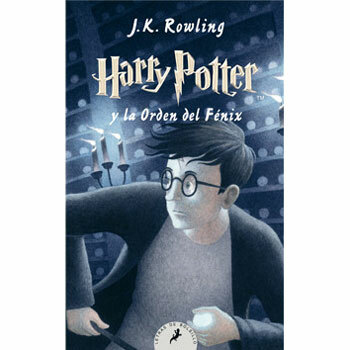 Harry Potter y la Orden del Fénix is intended for native Spanish readers and would suit a child aged 10+ if they were fluent in Spanish. It is published in Spain.